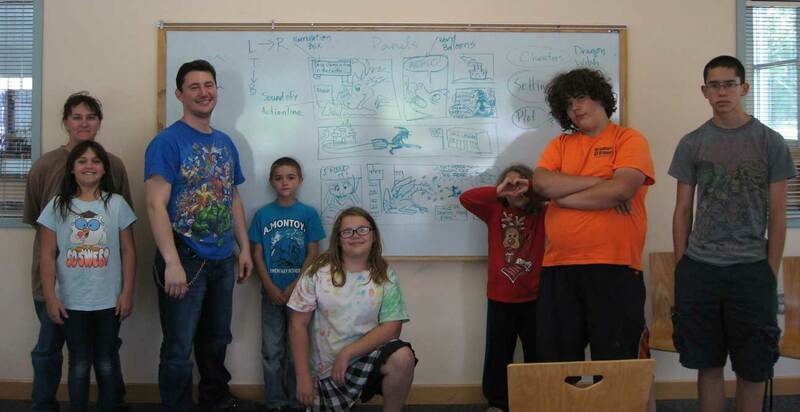 Making Comics: Panel by Panel is a series of 23 workshop presentations that 7000 BC will be presenting at every branch of the Albuquerque Bernalillo County Library this summer. Join comic artists and writers from 7000 BC — and combine words and pictures to make your own comics in this fast-paced, hands-on workshop. All materials will be provided. The workshops will be aimed at teens (and a few for tweens). Come to one, two, or even all nineteen. Different creators will lead the workshops throughout the summer, so you can come to different workshops and learn something new every time! The library is asking that you sign up ahead of time with any branch workshop that you're interested in attending.